Our guests at Amen House this week, Ladue Chapel Youth Mission Team, are once again hosting a movie night in our church parking lot. 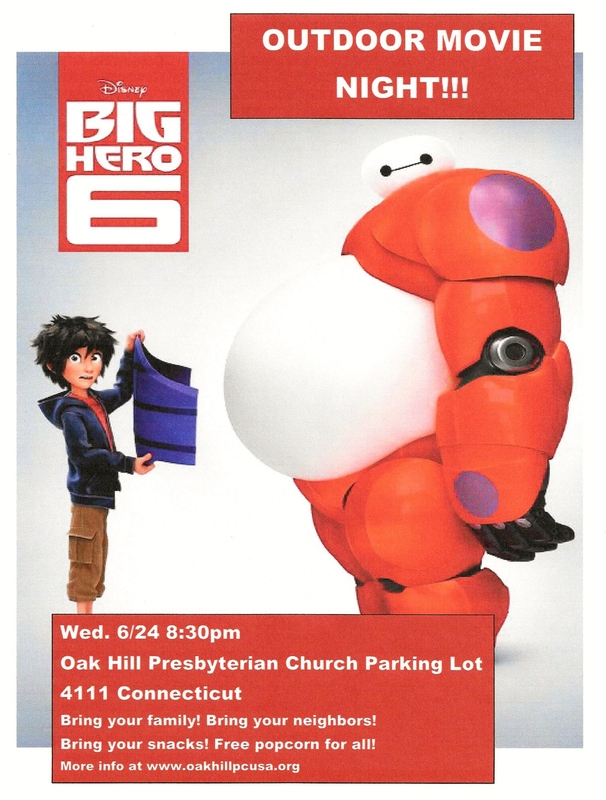 Invite your family, your friends, your neighbors, and bring your chairs and snacks and join us on Wed. 6/24 at 8:30pm for a showing of Big Hero 6 in our parking lot. If it rains, we’ll go inside to the Large Assembly Room. Oh, yeah, and there WILL BE POPCORN!!! Click here to see, print, and share the flier!